Program the contents of all your social networks. Publish from anywhere on any device. Automate publications for any time or day. Program social media posts from the same tool. Save time by posting on all your social networks at once instead of one by one. 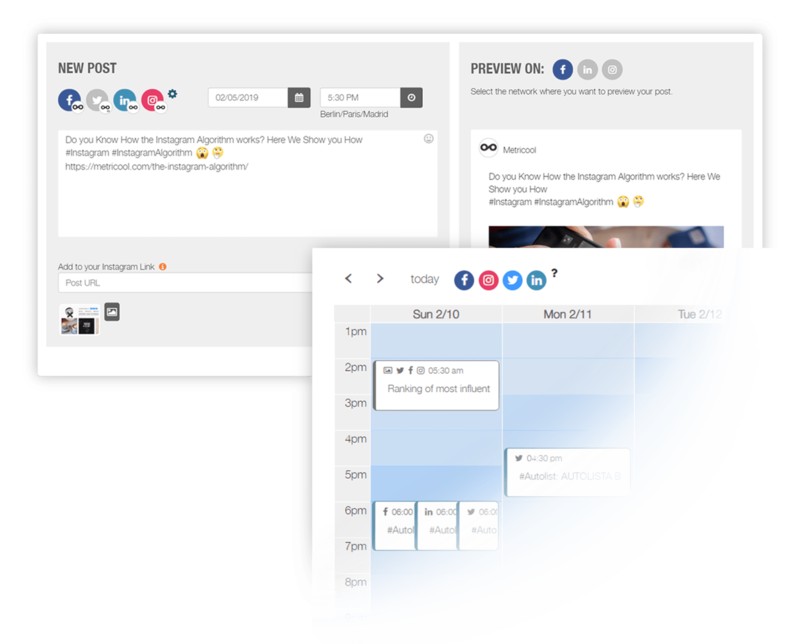 A social network planner simple to use to organize your content in the calendar. Choose the best hours to publish based on your audience and improve your results. Automatically post content using the autolist feature. 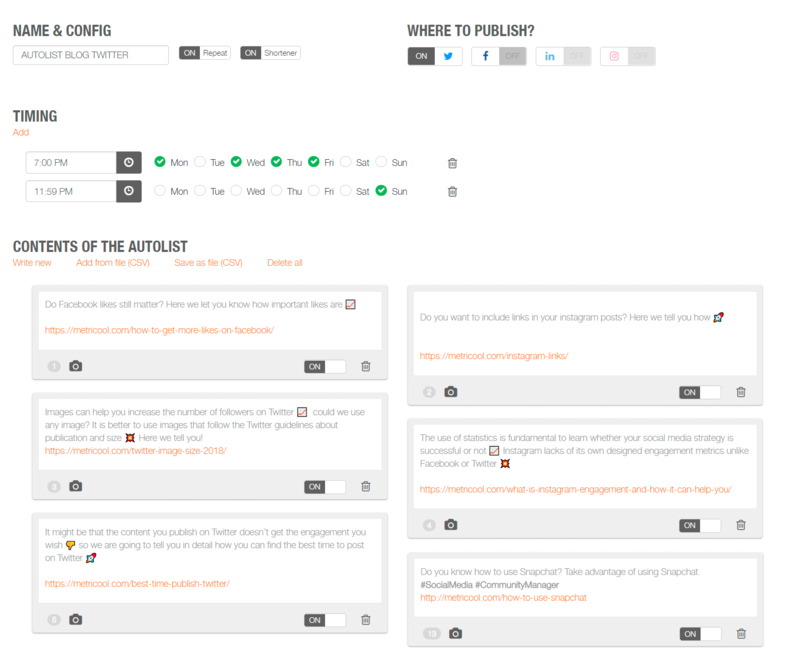 Group content together that you would like to post and plan what time and day you would like to publish them. 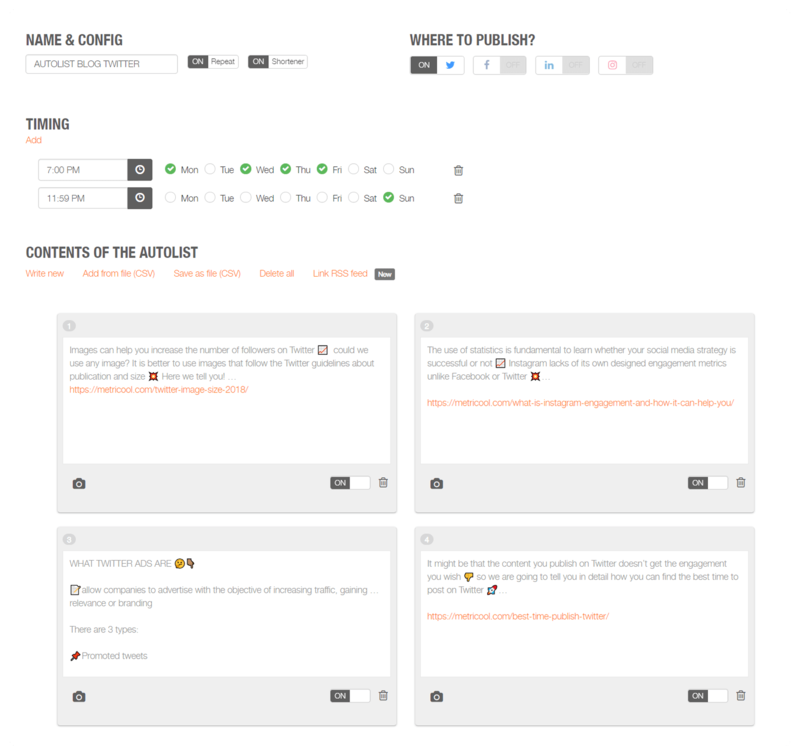 Automatically, repeat your publications with structured planning. Plan posts from any device. 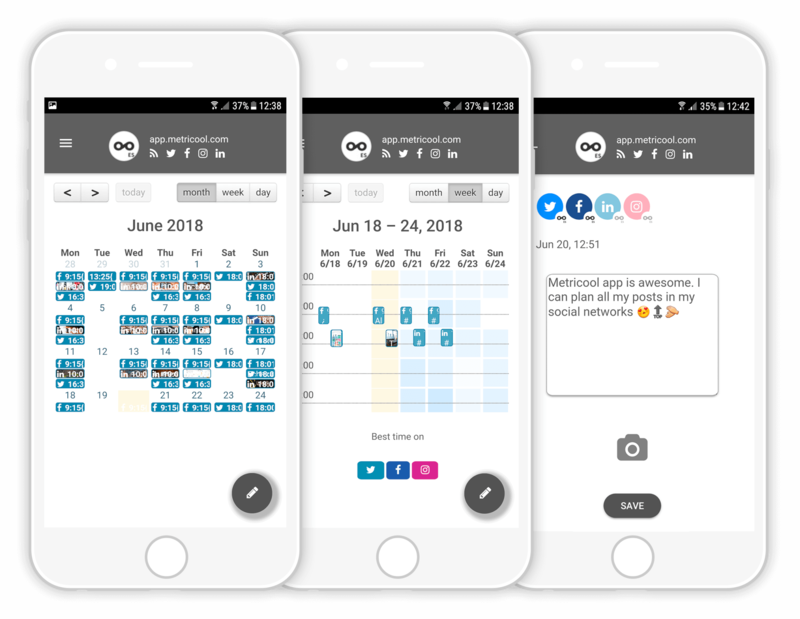 Post and manage your social media platforms from any time using the Metricool app. This application allows you to access your social media networks at the touch of your fingertips. Available free for iOS or Android. 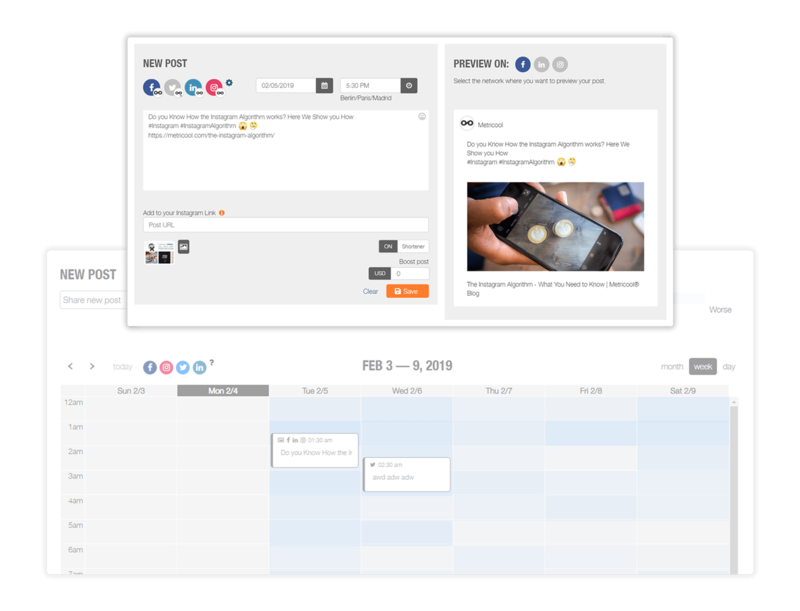 Start using Metricool planner and schedule your posts for free.